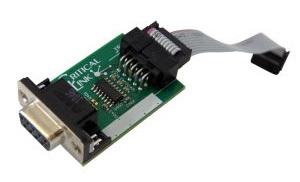 The RS232 Expansion Kit is compatible with Critical Link’s line of MitySOM and MityDSP based development kits; one is required to interface with this expansion kit and all MitySOM/MityDSP based System on Modules support this kit. The RS-232 Expansion Kit provides a standard serial interface at data rates up to 115,200 baud. The serial interface is routed to one of the UART serial ports of MitySOM/MityDSP depending on the Expansion Header used on a MitySOM/MityDSP based Development Kit. *Note: The selected distributor does not yet carry this model. You may contact them for ordering information, or submit a request directly to Critical Link.